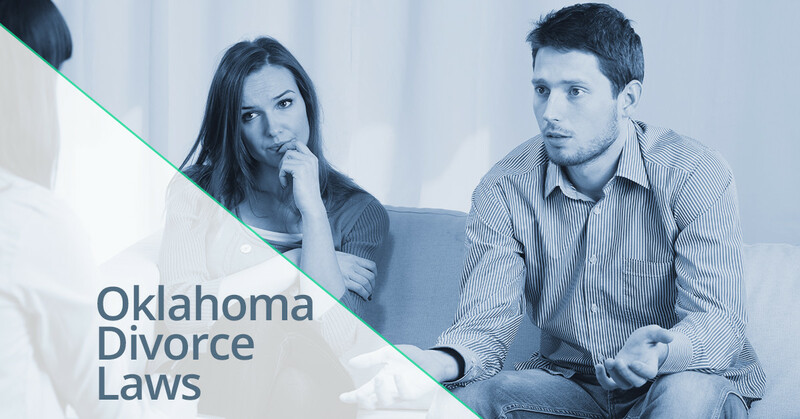 There has been a lot in the news lately about changes to Oklahoma divorce laws. If you are confused, you aren’t alone. Here at The Women & Children’s Law Center, we’re available to answer all of your questions. Please don’t hesitate to call and make an appointment for a consultation. To file for divorce in Oklahoma, you must be an official resident for more than six months and you must have lived in the same county for more than 30 days. If you don’t meet these requirements, you may alternatively file for legal separation. By filing for separation you may begin important proceedings related to child support, custody and division of property. The cost of filing for divorce is determined by your county. We recommend checking with your county recorder’s office for details. Some counties have this information available on their websites. In most cases, you’ll wait 90 days for your divorce decree to become final, especially if you have children under the age of 18. In some special circumstances, including if your spouse abandoned you more than a year ago, is in prison, or is in the care of a mental facility, the waiting period may be waived by a judge. There is a six month waiting period before you can get remarried in the state after your divorce is final. You are not required to have legal representation for your divorce. It may be very foolish, however, to not at least consult an attorney to make sure that your interests are being protected, and more importantly that your children’s best interests are being served. While child support is generally calculated in a consistent manner based on the incomes of each parents, alimony is much more of a gray area. If you feel that you are due alimony or fear that your spouse may not be honest and forthright about their ability to pay alimony, you should definitely consult an attorney with special experience in these types of circumstances. If you and your spouse own a family business, things can get very complicated. Your business will need to be valued by an independent third party regardless of how the business assets are ultimately distributed. If the court needs to decide how to divide up the business assets, it will use a concept called “equitable distribution.” This phrase can be misleading. Equitable doesn’t mean equal. If your spouse owned the business prior to your marriage or if you have your own income independent of the business, a judge may find that it is equitable for your spouse to retain most or all of the business assets. If you don’t have an operating agreement with your spouse, and you can’t come to an agreement about your business, it is likely that a judge will have to intervene. An operating agreement states in advance how the business will be valued and divided in the event of separation or divorce. One of the reasons that it is important to consult an attorney before seeking a divorce is that once your divorce decree is finalized, it is very difficult to make modifications. If changes to child support, alimony, custody or visitation are required, a new court filing is required. This can be expensive and time consuming. Please give us a call if you are considering filing for divorce. We’re here to answer all of your questions and to be of service to you and your children.